The moment you hear the word ‘spit roast’, you think about a boar hung over the fire in some wilderness. Spit roast is something more than this. It is an excellent idea for those looking to throw a barbecue party where the entire family can enjoy. 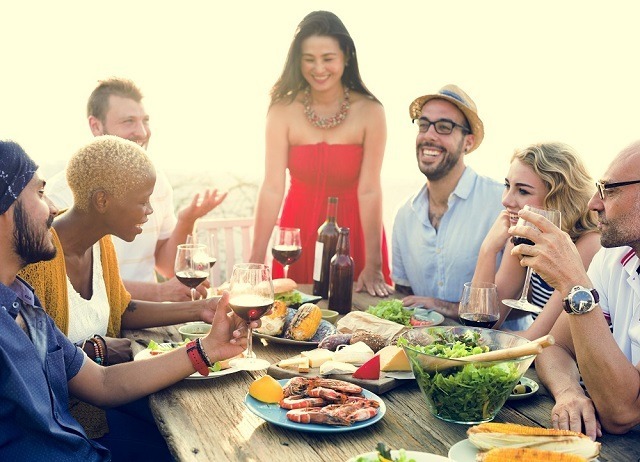 Spit roast catering can make the party a blast and the talk of the town for years. 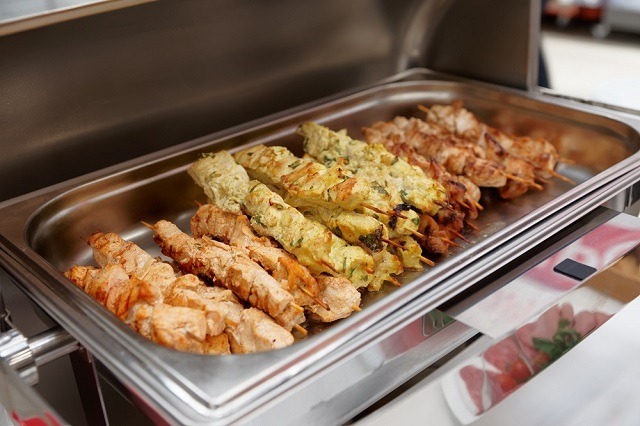 During any festive event, you can take the spit roast catering services to delight the guests. Even for weddings, people are opting spit roast. Although this is not the first thing to be thought about, people are still considering spit roast. Till the time you have a professional chef cooking delicious meals and the meat is of export quality, this idea will be a hit. This catering can be very enjoyable for the host and the attendees. You may add a few options in finger foods when the guests arrive for reception party. As weddings are well decorated, themed, the last thing that a couple would want is plated dinner or a catered buffet. It is important to choose a professional catering company if you want to avoid sloppiness and boredom in the food presentation. For the spit roast catering, it is worth choosing the right meats to be roasted upon the spit. This is crucial for the party host to remember. Apart from this, it is important to know the cooking time consumed by spit roast. Generally, spit roasts take quite some time for cooking. You cannot put too big piece of meat or too small one. Although the meat takes longer to cook, spit roasts can prepare really delicious roasts. Whether it is a birthday or a wedding, you should opt for catering services. If you choose a professional company for catering assistance, the food will be presented in the most attractive manner and you need not worry about the taste of the food. If you are planning to use spit roast to take the party spirit to the next level, it is even more important to take up catering services. The meat will be cut at the right moment when it is thoroughly prepared. The presentation will be great while the meat is tender, juicy and appetizing. You need not even worry how the staff will be. They will be dressed properly in formal attire. They will also take care of the surrounding and coordinate the activities. It is they who will set up your catering area, take down the area and make sure that the food is delicious and fresh. Using spit roast during the wedding is a healthy option. The meats that are prepared from spit roast are delicious and healthy. There is a cooker in which the meat rotates. So, the fat and unwanted waste will be dropping to the catcher. Only tender, delicious and appetizing meat will be left behind which retains its flavours and aroma. When the spit roast is used for the meat, there is no need to use additional oil or butter. Spit roast helps to roast the meat in proper manner such that the meat uses its own juices for flavours. There is no need to add anything. When compared to other caterers, spit roast caterers offer affordable rates as there is a huge competition in the market. You can choose the items of the menu and the company will offer you a lot of options. 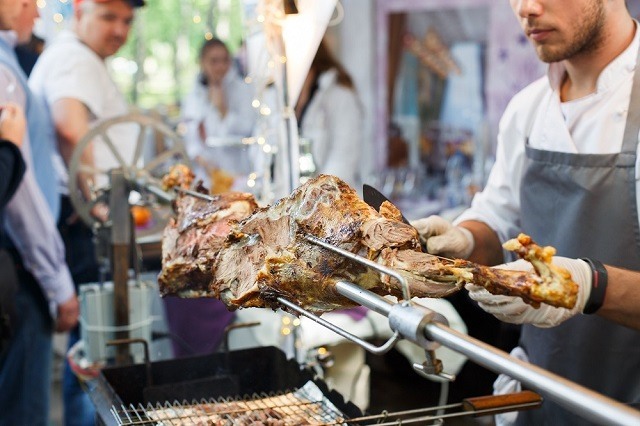 With the spit roast catering service, you may include a variety of meat items in the party like chicken, whole pigs, lamb and duck. If it is the wedding menu, do not forget to include a variety of appetizing items, entrees and desserts. All images were provided by the author. This post was written by Melissa Hamler, a professional blogger who loves to write on catering blogs. I hope the above piece written by me about Spit Roast Catering for Your Next BBQ Party will help the readers. 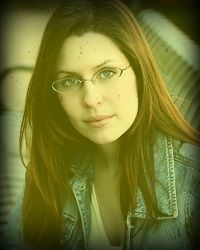 You can follow me on Facebook or Twitter for more updates. Thank you for such a great option. Barbecue is loved by all. Last month I organized a barbecue party by cooking meals on Portable Titanium Pocket BBQ Grill. 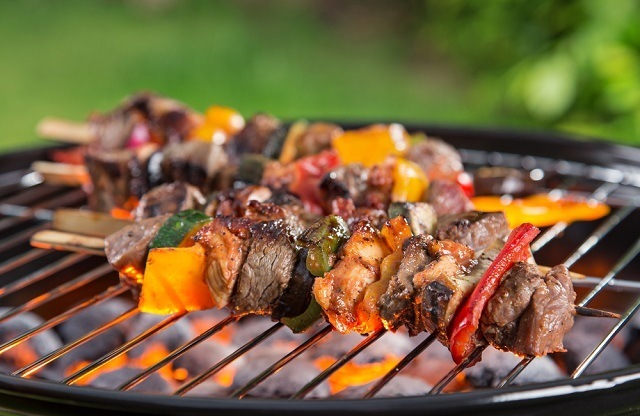 For the next barbecue party, I will go for the option mentioned in the article.